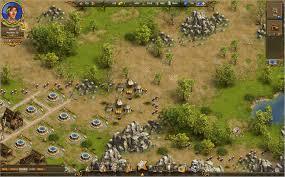 The Settlers Online is another off the shelf game by Unisoft that has been brought to the free to play market and is a 2D browser based MMORTS game. The popular franchise have brought many of the same features from the original RTS but have also made it social friendly in such a way that you now need to add friends to complete certain quests and can provide buffs to them all too. If you have a love for real time strategy games that require city building, resource management and battling your rivals, then this is a game you should certainly try out. This game is one of the originals when it comes to this genre and has been copied from over the years, but in many people’s eyes none of the newer interpretations will be as good as this one. You start the game as an upcoming king and have to oversee the expansion of your empire. This means the collection of the many resources that will be needed to both build and develop your buildings, exploration needs and army. 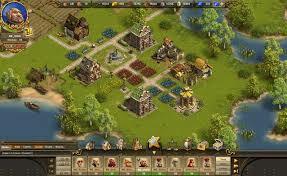 The whole idea is to slowly build up both your city and army as well as explore to further expand your empire. This takes a lot of strategy and thinking as everything that you build or develop will take time and will take even more time the further that you level up. In the beginning constructions and bringing in recruitments for the army will literally take a matter of minutes but once you progress further, this can change to many hours. Of course, you can take the easy way out and pay real cash for some in-store Gems that will speed up certain processes, though if you want to play for free you have no choice but to wait. Additionally, there are countless quests for you to complete, which are not time based, so there are ways to fill the time when you are awaiting the completion of your next building. Whilst with many of the games in this genre, the waiting times can be rather off-putting. However, one of the great things about The Settlers Online is that it has a great community that is always willing to chat and help. If you have any questions or queries regarding the game, you will quickly see that the chat facility provides you with many players that love nothing more than helping out the newbies. The community comes into play with the trading aspect of the game too. You are able to trade resources with friends, meaning you could actually make a decent profit out of a resource that you are able to produce good amounts of. Graphically the game does hold its own in a genre that is already heavily populated and the sound is adequate, though neither are what really makes this game as enjoyable as it is. What makes the game worth playing is the large amount of quests, the social aspect of the game and of course the strategy aspect of building the right constructions at the right time. We feel that if you have always been a lover of the RTS genre and are looking to try out a MMO version, then this should be one of the first that you try. For starters it is free to download and play and secondly you might just find yourself addicted to its game play. An age old classic, that still has the magic! We feel that if you have always been a lover of the RTS genre and are looking to try out a MMO version, then this should be one of the first that you try.